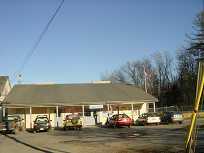 The Rochester Community Center is located at 15 GLF Road, off of Main Street in Accord. The offices of the Youth Department, Code Enforcement Officer, Zoning Board of Appeals and Planning Board have offices in the building. Community events such as dances, lunches, Earth Day, etc. have been held at the center. The Youth Department offers a full range of activities for school age children. Check out their section for more information. The Senior Citizen Group meets every Tuesday from 10:30 AM till 11:30 AM at the Center for socializing, humanitarian projects, cards, crafts, bingo, etc. The meetings are followed by Senior Exercise with instructor Rita Harkins, from 11:30 AM till 12:30 PM. Shortly after exercise, the group is off to a local restaurant for lunch and lively conversation. For information, or to join, call the recreation center at 626-2115. For special activities check the Community Calendar.